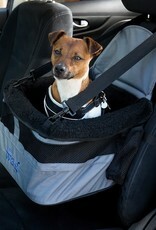 Some dogs find travelling stressful which raises anxiety levels for both the pet the and pet parent. Having your dog close by where it can see you and get a view of the road makes travel a calmer and more enjoyable experience. 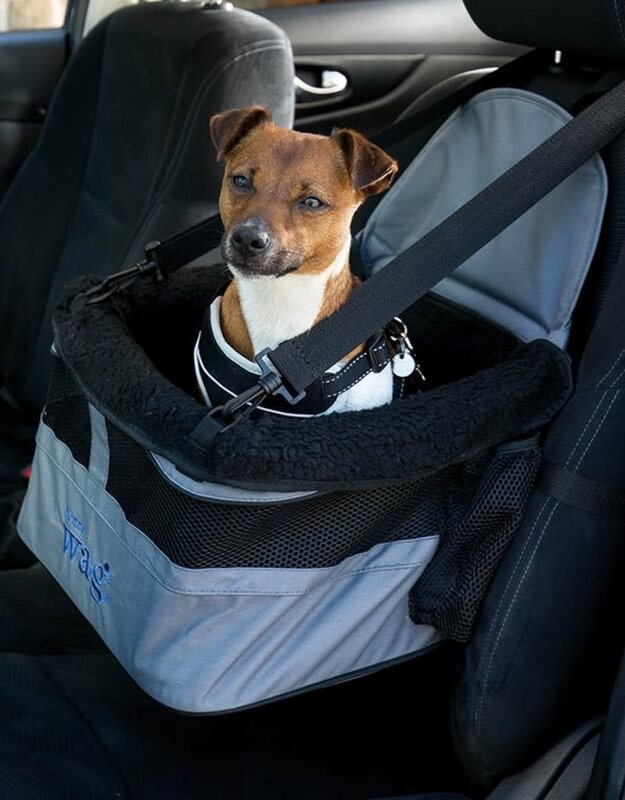 The Pet Car Booster Seat features a tether clip to secure to your dog’s harness and provides smaller dogs with a safe riding position. The seat fixes around the head restraint and around the seat back for security. It is supplied with a padded base for comfort plus removable fleece liner for winter journeys and a mesh panel for summer ventilation. The extended panel protects the seat back behind the booster seat. It includes a storage pocket and is collapsible when not in use.